Passover is a brooding, confrontational album. A simmering album. You get the feeling vocalist Alex Maas would reach through the stereo and punch you in the face if he could. But since he can't, he and his fellow Black Angels focus on slowly atomizing you with their existential dread. Which is a pretty reasonable emotion coming from a band preoccupied with war, weapons and death. Staring into an ever-shifting void, the Austin, Texas, five-piece dig themselves in and relate stories of conflict through a smoke screen of organ and guitars. In fact, organist Jennifer Raines is credited as playing the "drone machine." Several times on Passover, notes are so sustained they sound as if they're dripping water: most notably the opening guitar on "Young Men Dead" and the tambourine on "The Prodigal Sun." But no amount of pedal pushing could negate the power of slow-motion headbanger "Young Men Dead." "A-fire at will / Don't you waste no time," Maas sneers as drummer Stephanie Bailey shows no mercy for her kit. Then they pull back, leaving only a tambourine shivering in the silence, before they return to the attack. 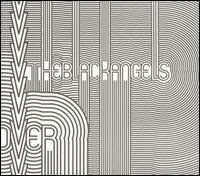 In addition to making the most of the tambourine, the Black Angels find just the right times to incorporate harmonica, backward guitar and tribal percussion. And I think I mentioned they like pedals. With such effective atmosphere at the forefront, it might be easy to miss the winning wordplay in "Black Grease": "You make me realize / I'm not the kindest guy / but I kill, kill, kill, kill / I kill what I can, dear." Like vocalist Ade Blackburn in the band Clinic, Maas' voice has a nasal keen to it, but he does a lot with it. In "The Sniper at the Gates of Heaven," he spouts herky-jerky outbursts. Elsewhere, he produces strangled cries or war whoops. In the stomper "Better Off Alone," he imitates (consciously or unconsciously) the haunting swagger of Jim Morrison and lets his syllables hang in the air. Aside from "Bloodhounds on My Trail," with its backwoods-boogie feel, Passover reinforces its cadence with forced-march efficiency: The drums somersault into combat on "Black Grease"; "The First Vietnamese War" lopes along despite "Charlies everywhere." The "first" undoubtedly implies that they have the Iraq war's number, and to ensure that you don't miss the meaning, as well as similar parallels on the album, they've included a hidden track that spells it out for you. But what to make of the title? The Black Angels go so far as to embed "Exodus 12:12-13" in the album art, but there's not even an oblique reference to Passover on Passover. Then again, it did involve sacrificial lambs. And a lot of blood.